Moto M is the latest 4g VoLTE Android smartphone from Motorola. Moto M is launched as Flipkart exclusive. 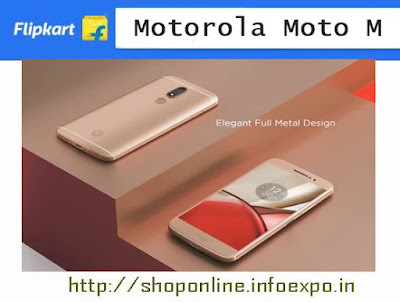 The device is exclusively available to shop online with Flipkart launch offers for Moto M.
Motorola Moto M comes with 5.5 in HD display, 2.2 GHz Octa-core processor, 3 GB RAM.